Empyrean won awards in three categories of the 12th Annual Stevie Awards for Sales & Customer Service. This is the company’s first year participating in the competition, which drew over 2,500 nominations from businesses and industries around the world. Empyrean secured two silver Stevies in the National Sales Team of the Year and Virtual Technology Sales Enablement and Pre-Sales Team of the Year categories, and won a bronze Stevie for Contact Center of the Year (Over 100 Seats). 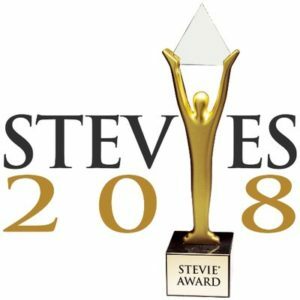 The Stevies represent some of the most coveted global business awards. The Empyrean family celebrates our customer service and sales teams on their tremendous achievement and recognition. Each team member’s commitment to delivering Hi-Touch Service has made Empyrean a leading provider of benefits administration technology and solutions. Thank you and congratulations to the entire team for this prestigious honor! Over 150 professionals – including prominent business leaders, executives, and educators – judged this year’s Sales & Customer Service entrants to identify exceptional organizations in each category. Empyrean was named a Stevie Awards Finalist last month. The final Stevie Award winners were announced Friday, February 23 at a gala held at Caesar’s Palace in Las Vegas, NV. For more on the award and the full list of winners, please click here.